Due to the mental stress and medical expenditure as a result of back pain, there is a common assumption among people that back pain is associated with spinal problems, which will require surgery to prevent them from being rendered immobile. The spine supports the upper body and is subjected to a huge amount of stress and pressure every day. However, the spinal column is designed to deal with this. While there are a number of possible causes for back pain such as injury, physical activity, stress, obesity, posture related issues and so on, surgery is not normally required to treat the condition. There is a great deal of evidence to suggest that massage therapy can provide lasting relief from back pain.  While there are various styles of massage, and each claim to be effective in the treatment of back pain, the growing popularity of Thai massage for dealing with the problem, shows how effective it is. Blood flow is enhanced. This massage is proven to help in injury recovery, repairing damage caused by physical activity, reduction of pain and soreness and easing out stress. All these factors are major contributors to back pain and by reducing them, the intensity of the problem is significantly reduced. The muscles of the body need to be under a certain amount of tension to enable them to maintain posture and to hold the skeletal structure in place. However, when there is excess tension due to either physical or emotional reasons, then the muscles become overly tight and this causes pain, especially in the back. Massage therapy eases the tension without the use of medication which could result in unwanted side effects or lead to drug dependencies. Massage therapy also causes the metabolism to increase the production of endorphins which are “feel good” chemicals that make the body more relaxed and stress-free. If you are one among the millions who suffer from back pain, either occasionally or almost all the time, Thai massage can provide you with the relief you need. There are no drugs involved to cause medicine related risks. If the condition is one that requires the use of prescription drugs, Thai massage not only reduces the quantity that needs to be taken but also increases the effectiveness of what you take. Ask your doctor about this. Remember that for a massage to be truly effective in relieving back pain and to give the best results, it must only be done by a trained and licensed massage therapist in a massage spa.